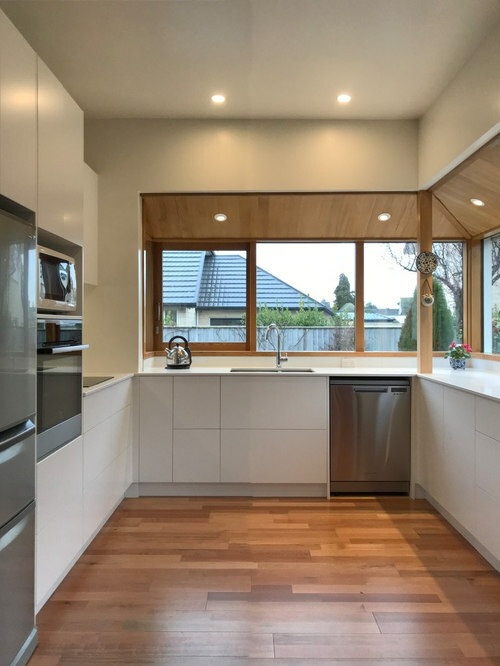 In this renovation project in Fendalton, our customers wanted to retain the gorgeous wood floor and feature windows but update with a crisp and clean look. 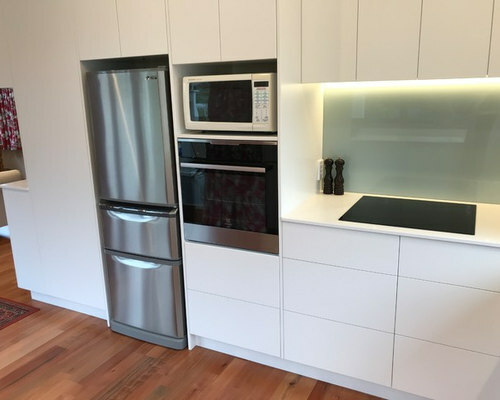 They chose Dezignatek Classic White Satin cabinetry and Caesarstone Snow benchtops. 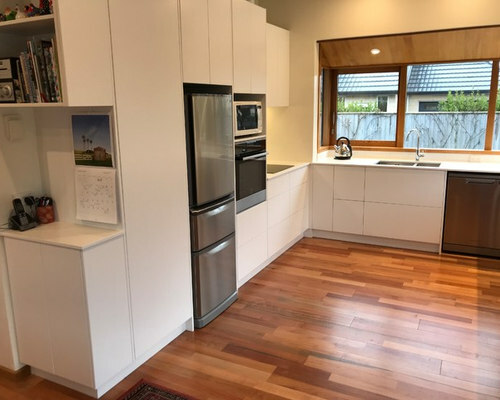 In this renovation in Fendalton, our customers wanted a crisp white minimalist kitchen. 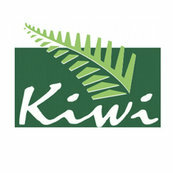 They achieved this by using Blum Tip-on (push to open handle-less) drawers and a 20mm Caesarstone Snow benchtop. White and wood - a classic and timeless combination. The cupboards above the cooking area have a recessed LED strip. 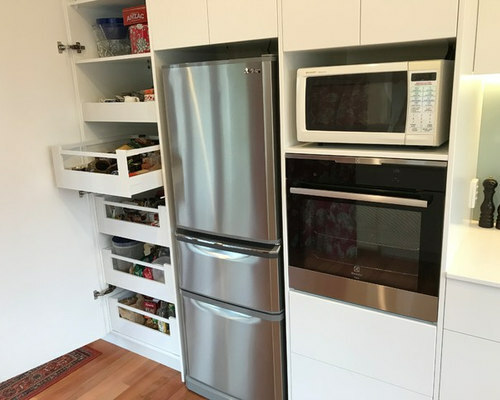 This kitchen features a Blum Space Tower pantry with internal drawers. Makes the most of the entire pantry space without compromising access to the things you have stored there. 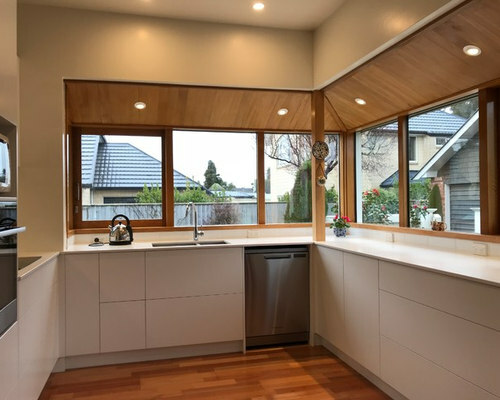 The existing kitchen had beautiful feature windows and a tricky post which we had to work our magic to install the kitchen and benchtops around! 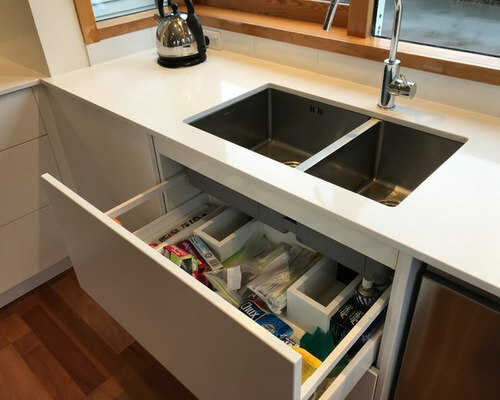 One of our gorgeous undersink drawers - built around the plumbing to make an effective space for storage of cleaning products. Beautiful combination of white and wood. 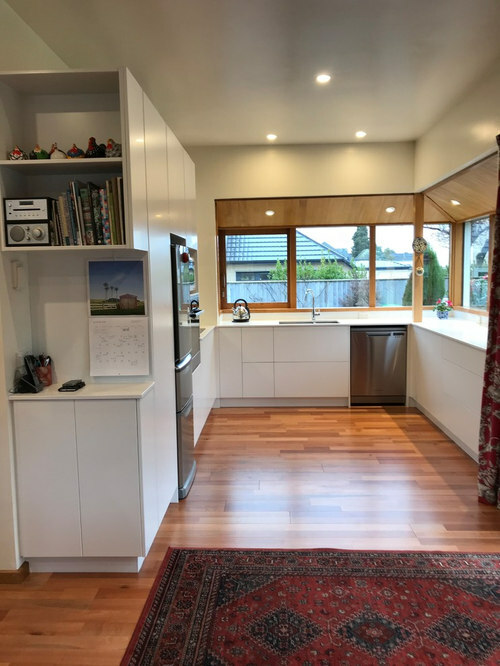 Lots of storage and nice long stretches of benchtop.